Tess Daly is to swap the Strictly dance floor for The Spotlight, a TV talent competition which sees a brand new boy band pitted against an all-girl group. 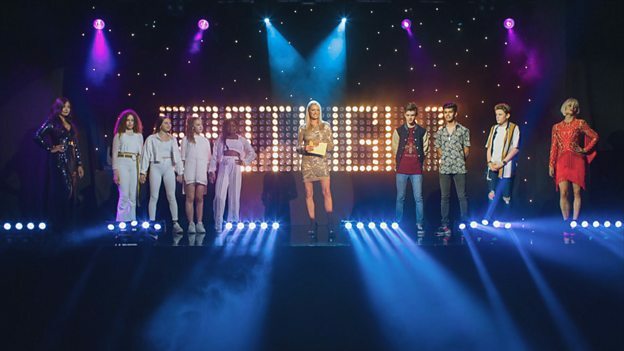 The Spotlight is a fictional talent competition featured in new CBBC comedy drama, Almost Never. Tess plays the host of the talent competition which sees boy band, The Wonderland, fiercely compete against girl band, Girls Here First, with the fortunes of The Wonderland then being followed as they try to make it big in the business. The star-studded cast also includes Kimberly Wyatt as ambitious and unscrupulous manager of the girl band, Sasha Small. Emily Atack (The Inbetweeners and currently starring in I’m a Celebrity) plays Meg, mum to Oakley and Harry from The Wonderland, whilst Colin Hoult (Murder in Successville) plays their dad. Nate’s mum is played by Zina Badran (A Very English Scandal) and his sister Molly by Simran Rakar. Michelle Gayle (EastEnders) takes the role of Coleen, a record company manager. Also appearing in a cameo role is Emily’s fellow I’m A Celebrity campmate, Fleur East. Tillie Amartey (Ratburger) takes the role of Chloe, a vlogger who befriends The Wonderland and helps them to build their social media profile. Almost Never follows The Wonderland as the brief spell of fame they enjoyed on the talent show starts to fade. 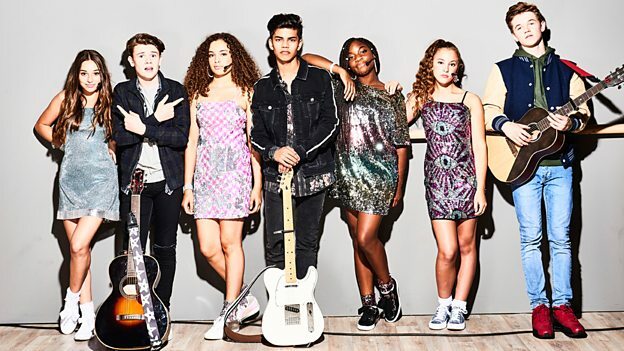 Almost Never is due to broadcast on CBBC in the new year. The series is produced by Saltbeef TV’s Jeremy Salsby creator of Sorry I’ve Got No Head and Friday Download.